She doesn’t do one of the most watched, most celebrated, or most recognized Olympic sports, but Veronica Day knows that being successful in sport and in life means doing the work and doing the right thing regardless of who’s watching or not. 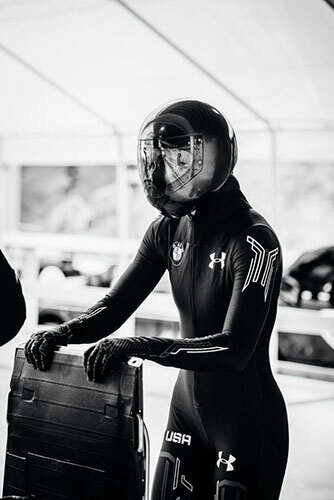 This due diligence has put her on the path to success in the sport of skeleton, while also preparing her to skip the shortcuts when it comes to competing clean. In the interview below, Veronica explains how and why she avoids shortcuts in life, in sport, and in anti-doping. Question: How has sport shaped your life and made you the person you are today? Veronica Day: Sport has shaped my life in a variety of ways. Being involved in sports from such a young age all the way through adulthood…all that stuff that I learned as a kid and that I learned as an adult, it really translates into the regular world too. I have to be a team player. I have to be goal oriented. I also learned responsibility, integrity, and respect through sport from a very young age. And I think a lot of that had to do with having some phenomenal coaches who really taught me to be accountable for my own actions, for what I did in training, and for how I performed. Question: Why do you think sport is so important to people like yourself and to society as a whole? Veronica Day: I think sport is important to people because it’s a microcosm for real life. Sport imitates life, life imitates sport. I think it’s a little bit cyclical in that regard. And, at the end of the day, people like watching competitions, they like watching people succeed. They like a good story. They like having teams to root for, they like being a part of something bigger. And I think sport gives an opportunity for all of that to happen. 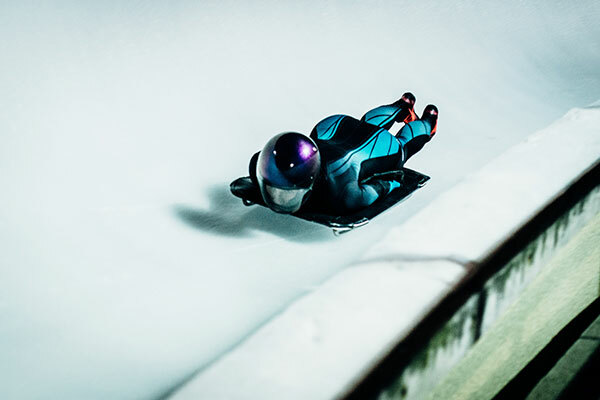 And skeleton is a pretty obscure sport…it’s sliding down mountains headfirst at 85 miles an hour. That is a bonding characteristic for anyone, even if you don’t speak the same language and you don’t come from countries that necessarily get along. Question: So how does putting in the work and competing clean protect the value of sport? Veronica Day: I think competing the right way protects the value of sport because it’s less rewarding if you don’t compete the right way. Maybe financially it’s more rewarding, but internally, it’s just not worth it. At least to me, I would rather compete the right way and lose, than compete the wrong way and win and feel guilty about cheating my way to the top. Competing the wrong way in sport also takes away the value of sport to everyone, and that’s not just taking away the value to other athletes. It takes away the value for the public. People watch us and they look up to us to be the best that we can be. And if we’re doing something that is a shortcut, it really takes away from kids, from teaching them the wrong versus the right way to do something. It also really hinders the public’s perception of what sports are on a bigger scale. Question: Can you share an example of a time when you chose a harder or slower path to success in sport because it was the right thing to do? But I’ve definitely been around teammates who just asked others without really even thinking about what they did wrong and were just looking for a quick fix or a quick answer as to how to excel. Question: What does it mean for you to put in the work and be diligent so that you are both a successful athlete and a clean athlete? Veronica Day: When it comes to competing clean and competing at my best, it’s imperative that I put in the due diligence to make sure I know what I put in my body. I’m using all those tools that are provided to me by USADA. It’s up to me to make sure I am doing my part to be a clean athlete and follow the rules…everyone else has to follow them too. Question: And it’s no secret that some of those processes are not easy. It takes time. Do you think it’s worth the time and effort? 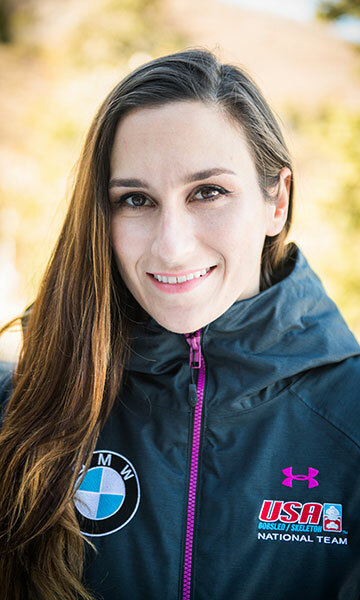 Veronica Day: I think it’s absolutely worth the time and effort to do all of those little things for USADA to ensure that my sport is clean and that I’m competing clean. We talk about what we do in the gym, those little things, making sure that you warm up completely and cool down completely. I just consider filing Whereabouts as another one of those annoying, but very necessary steps to be successful. If I don’t do it, I can’t compete. If I don’t cool down, then my workout the next day isn’t going to be as good as it could have been. Question: How would you describe this effort to those who question it, or even the value of clean sport? But as a whole, it turns the sport into something better. And you as an athlete can be confident that everyone you’re competing against is doing the exact same thing that you’re doing. So, if you want an honest race, you need to be a part of the process as well.